Don't you believe it. Don't believe those original manufacturer claims that your expensive, but older, laser machine cannot handle an upgrade to higher power--Sure it can! Cheer up, save the money. Add power today. What is the price to upgrade my Epilog Radius to 100 watts? What is the price to upgrade my GCC Laserpro Mercury to 50 watts? What is the price to upgrade my Epilog Mini to 100 watts? What is the price to upgrade my Universal Laser Systems ULS25 watt to 50 watts? What is the price for new controls for my ULS laser machine, so I can run it faster and better on a new PC? Whether you have an Epilog Laser, GCC, Trotec, or a Chinese laser machine, we can help you to get more power into your laser machine. With more power, you can take on new kinds of work, go home earlier because of faster laser processing, and more. Whether you need to go from 30 watts to 70 watts with a metal tube laser, or 250 watts to 500 watts, we have refurbished lasers at steep discounts. That is not all. Often times, we accept your current laser as a trade-in and reduce the price further. Need additional optics or metal cutting capability?--then we can provide you with add-on accessories to handle metal or other materials so that your quality is second to none. We find that many laser machinery owners--that want to upgrade--are not aware of all the options. Options for higher power lasers that lead to more capabilities on their laser machine. Many owners are trained and confident in the use of their machines and do not want to spend a lot of money to purchase a completely new machine. Investigate your options by completing the form below. A Universal Laser Systems owner wanted to upgrade from 30 watts to 60 watts. His ULS-30 was engraving slowly. He had a downpayment available but the cost for the full upgrade was too much cash. So, we financed his purchase and accepted his old laser as trade-in to reduce the cost. An Epilog Radius owner wanted to upgrade from 25 watts to 100 watts. We supplied the complete laser kit including laser, power supply, and chiller. The hands-on buyer took an active part in the installation in order to reduce the cost. 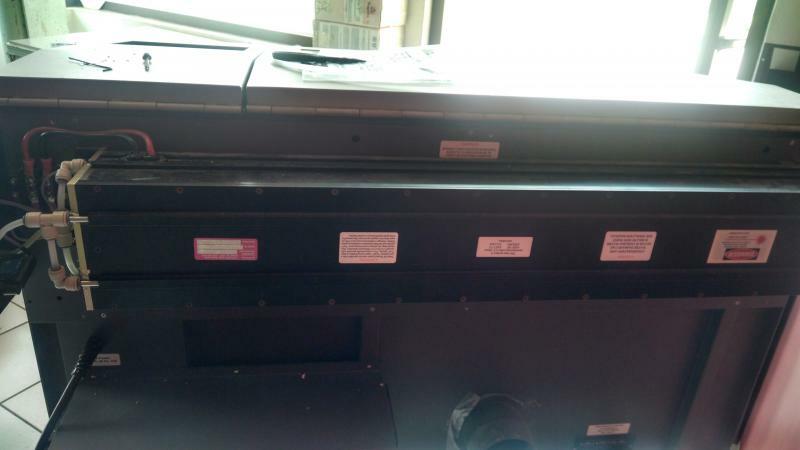 A GCC Laserpro owner with Mercury 1 wanted to upgrade from 25 watts to 50 watts. We provided the laser power supply, laser, and installation instructions. A foreign buyer purchased a galvo from China and wanted a metal tube CO2 laser. We provided the Synrad 50 watt laser and power supplies. 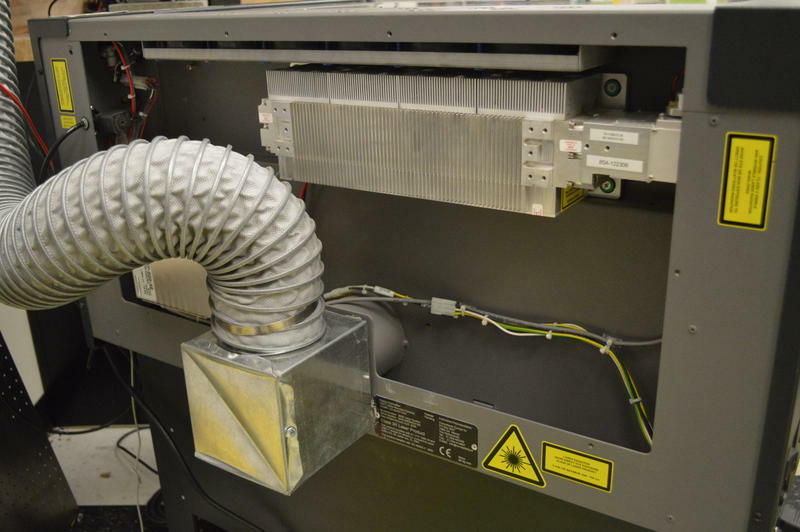 Major university needed upgrade on Epilog laser from 30 watt to 70 watt. We supplied the Coherent C70 watt refurbished at steep discount, additional new power supply, instructions for installation, and trade-in on used 30 watt. There were only a few hours of down time because they received the 70 watt laser before returning their 30 watt trade-in. A niche product maker had their GCC laser engraver loosing power fast during peak holiday season. They had a dead Coherent 30 watt laser sitting in a box, and sent it in for refill. The RF was damaged and it needed gas, so we replaced with our in-stock 40 watt unit at no additional charge and met the required schedule. 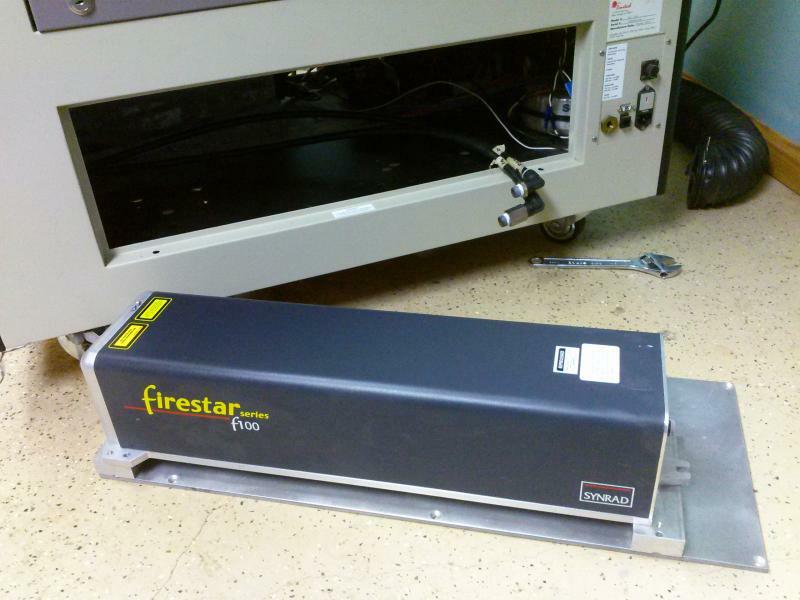 A customer contacted us about upgrading their major brand (USA) laser engraver. In their machine manual it specifically stated the laser could be upgraded. Yet, the manufacturer refused to make an offer for the upgrade and would only offer a new laser machine. We provided the proper information to the upgrade and identified all the necessary components. A customer contaced us because they had purchased a used laser engraver and was told by the manufacturer (USA) that to laser cut a quarter inch wood and a quarter inch acrylic they should upgrade their RF laser to 100 watts and not 60 watts. We provided the correct information, then the buyer decided to refill their 35 watt RF laser and try it out. Why pay the high price? With refurbished lasers saving you thousands of dollars, why pay exhorbitant prices charged by laser machine manufacturers. Your Trotec Laser can have an upgraded model of the same brand offered by Trotec, with all the same parts, and a refurbished laser carrying the same warranty, for a fraction of the price of a new laser. The same can be said for the GCC Laserpro laser machines. Your increase in laser machine power provides new capability if you can afford to pay for the upgrade. You do not have to be held back from expanding your laser engraving and cutting capabilities, getting the time to go home early, and more because the price is no longer out of reach. Can I upgrade to a Glass Tube Laser? Sometimes our customers want to increase their laser power yet keep the costs very low. With our trade-in program this is possible. A typical trade in will involve returning the old metal tube laser and receiving our installation conversion kit for your laser machine. Contact us for your price quote today. Above: Upgrade your ULS25PS to a ULS50PS, doubling the output laser power from 25 to 50 watts. Above: Different types of lasers are available for upgrades. The 50 watt Synrad laser shown on top of the Epilog Laser is large and would require cutting the enclosure to fit. Different pricing options and lasers are available to buyers to select the best fit for their needs. Experienced and expert refill, refurbishment, and repair of Carbon Dioxide lasers, including Radio Frequency (RF) and DC high voltage lasers and power supplies and associated components. Full diagnostic and testing equipment ensures quality service every time. Coherent C series including C30, C40, C55, C70 models in air and liquid cooled versions. Coherent Diamond G50, Diamond G-100, and Diamond G-150 lasers including the refurbishment of the internal slab laser reflection mirrors. Coherent DEOS (DeMaria Electro Optics) lasers and power supplies in including the D1000, D600, and less common D300 RF power supplies. Coherent K-series including K250, K225i, K500 and smaller models. Synrad 48-1, 48-2, 48-5 series in a variety of configurations, and V, F, and T series including F100, f200, F201, F400, 240 watt Evolution or Duolase and 125 watt versions, and T80, T60, T100 high quality laser beam mode models. ﻿Pay using Paypal, credit card, check, and money transfer. A quick examination of the laser power options listed in the manual will often show upgrade options. With certain models there are additional upgrade options that are not offered by the manufacturer (due to marketing reasons) but higher powers will fit and perform well. Contact us today to learn more about your options in this money-saving approach to getting increased laser power and capability for your business. Above: Xenetech Laser Engraver can be equipped with a 100 watt laser as its largest power option. Get New Modern Machine Performance!